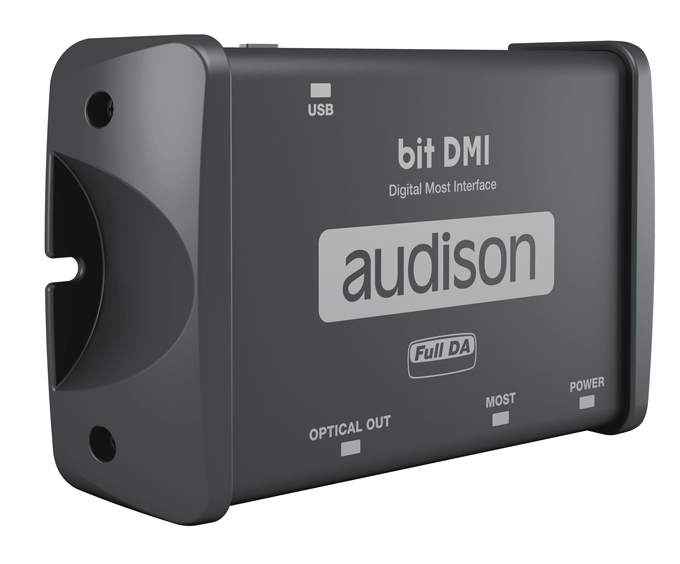 bit DMI is a digital interface for MOST systems, providing the ability to connect the Audison bit processors and the Audison amplifiers, equipped with digital input, to OEM multimedia systems in cars featuring the MOST technology based on optical fibre. Thanks to the digital connection, the signal can be transmitted without loss of quality, keeping the audio controls built in the OEM head unit – such as volume, balance and tone controls- as well as the hands-free kit, navigation system and parking sensors alerts unaltered. Dear user, this high-tech digital MOST interface provides the ability to obtain a TOSLINK stereo audio output for a wide range of vehicles equipped with MOST-25 infotainment platform, achieving the best performance from your audio system. The vehicle compatibility information contained herein is the result of tests performed on vehicles at the time of the software development and of constant updates to the new releases. However, due to differences in cars configuration and factory equipment for sound and multimedia systems aimed at different markets, possible malfunctioning or loss of the original features of the infotainment system might occur. 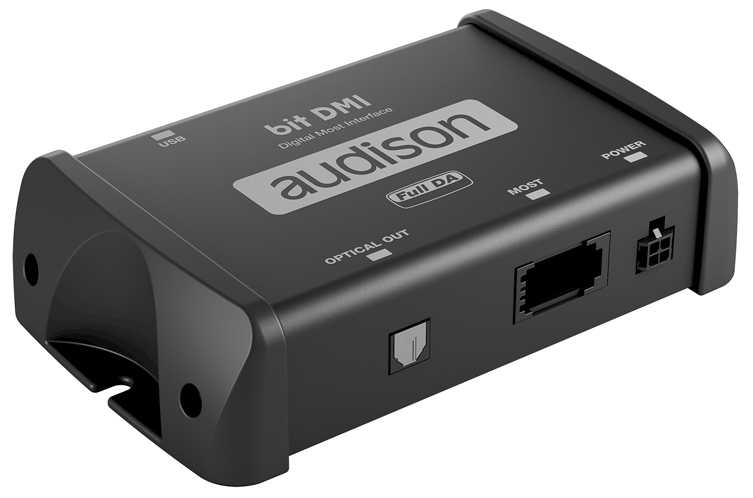 Before installing the audio system, make sure that the bit DMI is functioning correctly in your car, by using an external stereo audio system featuring an optical input. Please contact our support division, support@elettromedia.it , or your international distributor for further information or notifications. • DOLBY DIGITAL (AC3), DTS or other proprietary multichannel sound-surround codecs cannot be decoded. • Next-generation infotainment systems could require coding if a MOST external amplifier is not factory-provided. For further information about the coding requirements, check out the info box remarks for your vehicle and infotainment system.